The weather has been so beautiful recently in London so we decided to explore Notting Hill last Sunday afternoon! We have really enjoyed exploring our new home London. We've lived here for two months now and absolutely love it! 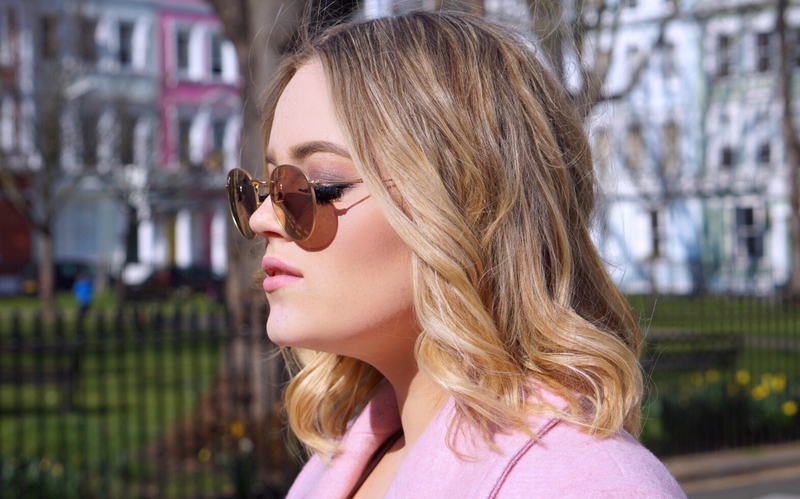 We went to Notting Hill as we thought that Primrose Hill would be the perfect backdrop to take some outfit photos! It's Lydia typing now, hello! I've been on the look out for a new spring coat for a while now and when I saw this one in Topshop, I had to have it! Recently I've been loving this Topshop Bonded Belted Truster Coat for spring as I feel that it's such a statement piece of clothing! I love the colour of this coat, it's the perfect mix of grey and baby blue! I also love the fit of this coat, and that I can wear it belted to make it more fitted or undone for a more casual look! The large pockets are perfect as they are even big enough for my phone! I have an iPhone 6 with a Lumee light up case so my phone is huge right now! I finished my outfit with my favourite Topshop Black Joni Jeans which are the most comfortable fitting jeans ever and my ASOS V Neck Mono Colour Block Blouse! I've worn this blouse so much over the last couple of months, even Lucy has one in her wardrobe because she loves it too! 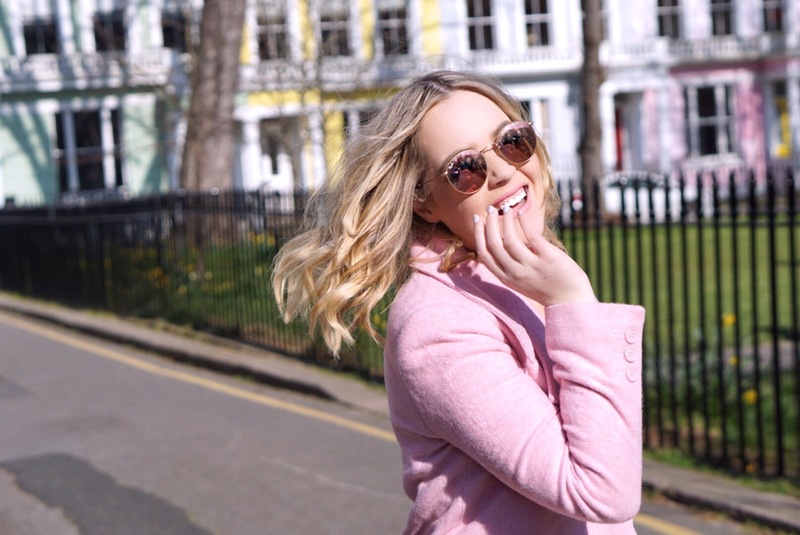 For my outfit, I wore this ASOS Pink Coat With 60's Collar which complimented the pastel houses in the background perfectly! 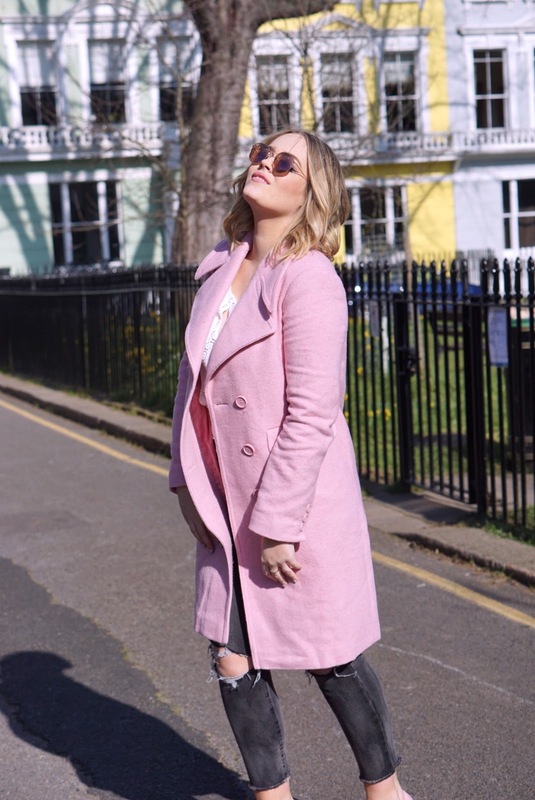 I've never owned a pastel coat before, normally it would be Lydia wearing a pink coat because she is definitely more of a pink girl than I am, but I loved this one on ASOS so much that I had to put it in my basket! I've also had so many compliments when I've worn it around London! I then wore these American Eagle Outfitters Denim X4 Hi-Rise Jegging Crop In Charred Cider to edge up my pastel look slightly and Lydia also let my wear her Ray Ban Round Metal Sunglasses which I am now obsessed with. I may have to get myself my own pair! 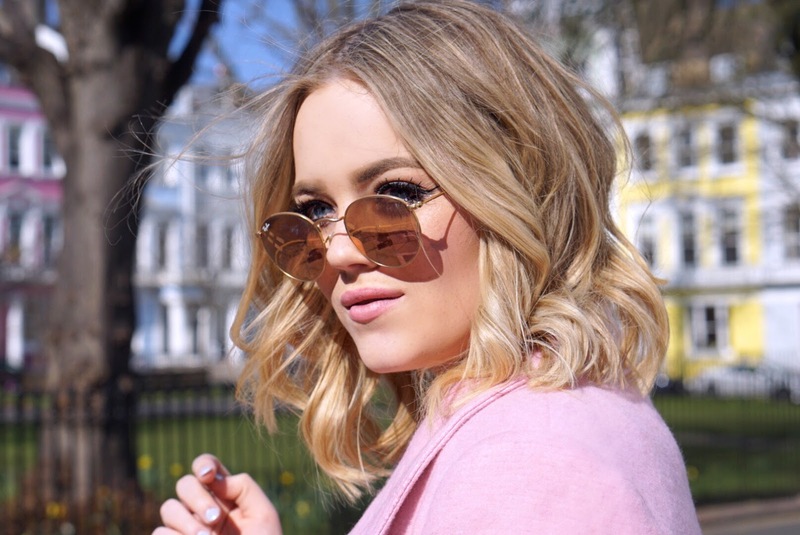 They are slightly pink toned when the sun shines which I love and as you guys know, rounded sunglasses are my favourite style! 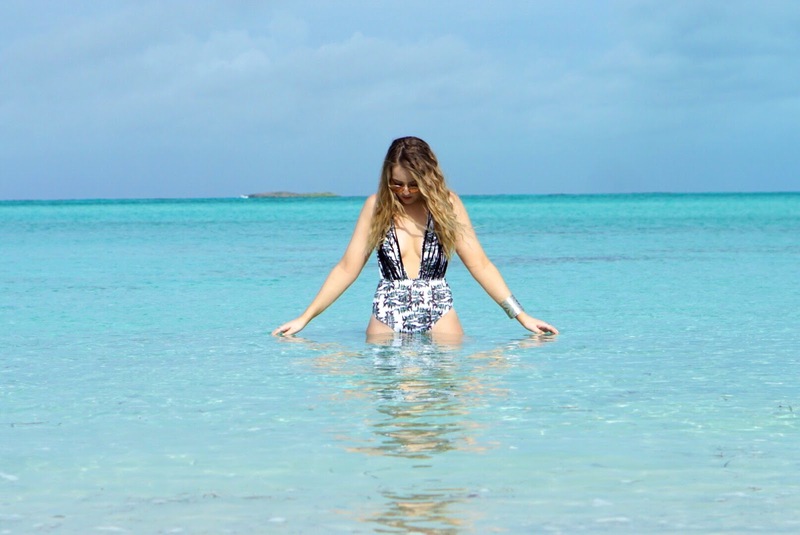 Let us know in the comments what you'll be wearing this spring and what would be your top spring wardrobe essential!